A University of Oregon program that brings classrooms into the state’s prisons would be expanded under a bill now before the Oregon Legislature. The Prison Education Program got its start in 2007 when UO professor Steve Shankman taught a course at the Oregon State Penitentiary. Since then, hundreds of UO students and more than 1,000 incarcerated people have taken classes and participated in other UO activities inside five of Oregon’s prisons. Senate Bill 949 would provide $350,000 of new funding to support the program in such efforts and allow further expansion. In testimony before the Senate Education Committee last week, philosophy and sociology student Julie Williams-Reyes shared how going inside a prison to take a class with 13 campus-based students and 13 incarcerated students inspired her to engage more actively in issues of social justice and was the determining influence in choosing her career path. Many students have gone on to work in organizations such as the Peace Corps, Teach for America and Sustainable City Year. Graduates have spoken of their experiences in a prison class as stepping stones in their careers as lawyers, teachers, doctors and professionals in various nonprofit sectors. 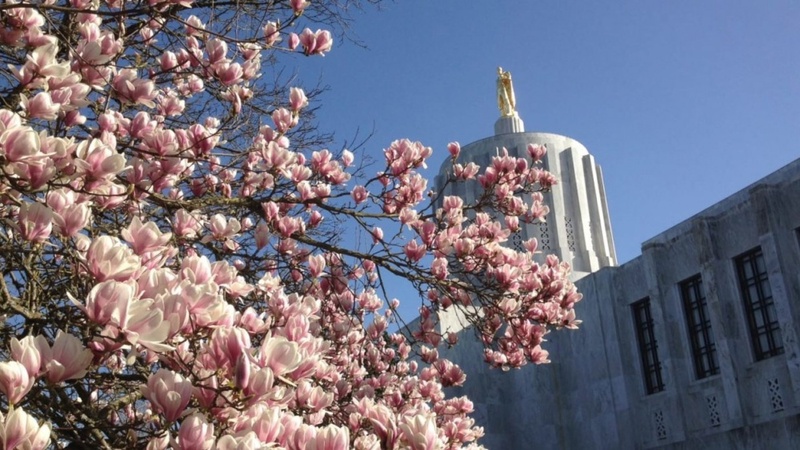 Geography professor Shaul Cohen, director of the program, told legislators that it has broad support on campus, with the UO Board of Trustees, the UO Foundation, campus leaders and many deans offering support. He also said the program has support from the Associated Students of the UO, one of only a few student governments in the country that have invested in such educational opportunities. Cohen also expressed appreciation for the Oregon Department of Correction’s help in making classes, lectures, workshops and common readings inside the prisons possible. At the Senate hearing, program coordinator Katie Dwyer spoke of working with incarcerated students and noted that education allows people to build self-esteem, become involved in positive programming while incarcerated and be more equipped to re-enter the community. Last June, state Sen. Lew Frederick attended a UO graduation at the Oregon State Penitentiary and last week told the Education Committee he was deeply moved by what he witnessed. Sen. Michael Dembrow attended a UO class at the Oregon State Correctional Institution and testified to the power of the teaching model and bringing people together in discussion.